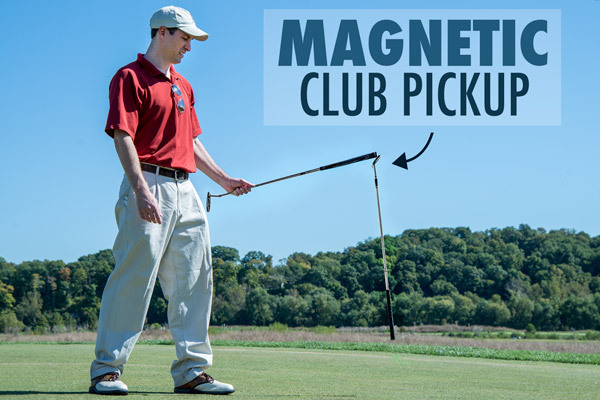 Magnecaddy: Pick up clubs without any bending or kneeling. Pick up clubs without the pain of bending over. Golf is a hard enough game without back strain. Now those suffering from back issues can eliminate the pain associated with bending over to pick up clubs by using the Magnecaddy! The Magnecaddy is a small but powerful magnetic device that makes picking up golf clubs completely effortless. After screwing the Magnecaddy into the top of your club of choice (normally your putter), simply touch the Magnecaddy to the head of any iron or wedge to lift it. 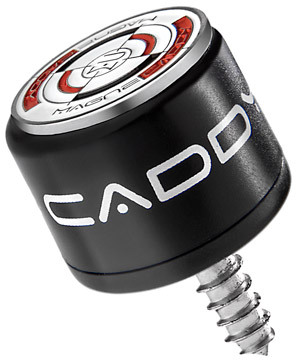 The USA-made Magnecaddy also features a built-in magnetic ball marker that snaps to the top of the unit. 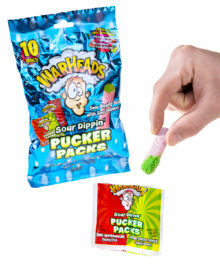 Bad back? Get yourself a Magnecaddy! Golf is a game that you can enjoy at nearly any age even if you suffer from a myriad of ailments (including back pain). Because most of us weekend warriors aren't landing our approach shots directly on the green, we're carrying a minimum of two clubs when we ditch the cart and head toward the general vicinity of the green. After we close out that three-putt, those of us with bad backs can now pick up our sand wedge, pitching wedge, and nine iron effortlessly with the Magnecaddy! It's a small magnetic device that screws into the top of your putter that makes club retrieval a breeze. Pick up your wedges from around the green effortlessly with the Magnecaddy. 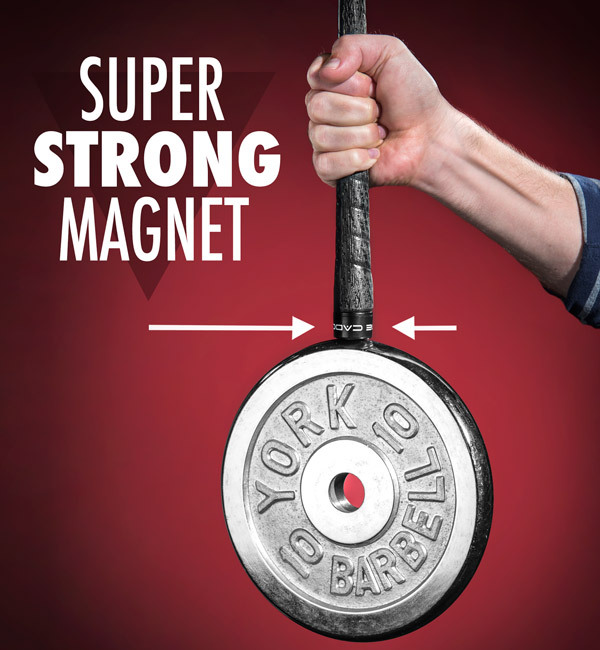 Powerful magnet can lift up to 30 pounds! The Magnecaddy houses a robust rare earth magnet that can lift up to thirty pounds! 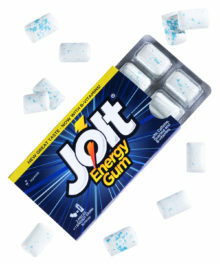 That's a lot of power for a magnet that is under an inch tall. Simply touch the Magnecaddy to the head of the club you want to pick up, lift, and you're done! The Magnecaddy utilizes a super-strong rare earth magnet that can lift well in excess of 10 pounds. Installing the Magnecaddy is the easiest thing you'll ever do on a golf course. It simply screws into the top of your putter (or any club for that matter) in a matter of seconds. 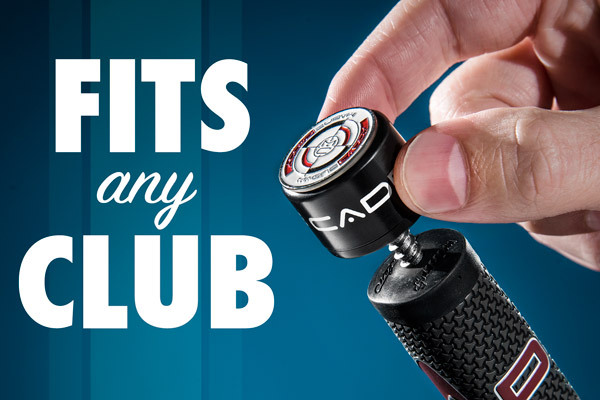 Simply screw the Magnecaddy into the top of any club. 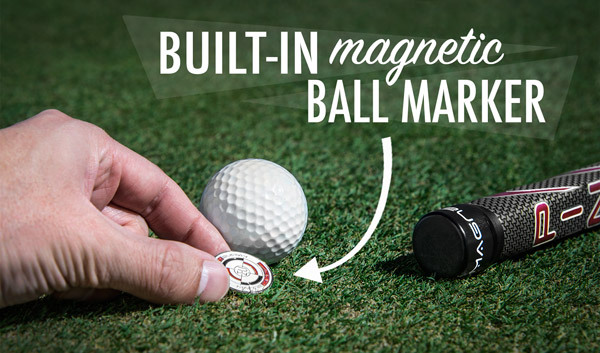 Another handy feature of the Magnecaddy is its built-in ball marker. The always-at-the-ready magnetic marker snaps on to the top of the Magnecaddy which means no more digging through pockets full of tees, receipts, and extra golf balls for your marker. The Magnecaddy also sports a super handy magnetic ball marker.